Steenbergs Organic Rosemary has that characteristic strong, robust flavour that you expect from great home-grown rosemary. Organic rosemary's needle-like leaves are very aromatic, with a slightly woody and highly pungent perfume, which is not lost by long cooking. 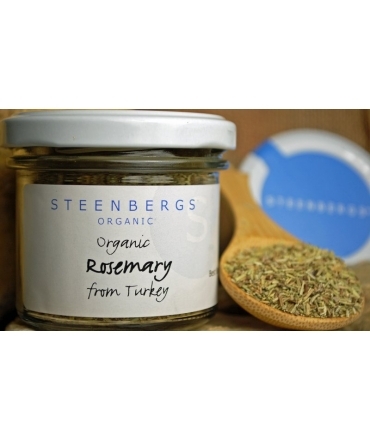 Use Steenbergs organic rosemary in lamb, pork and chicken dishes, giving them a sunny, Mediterranean feel. Organic rosemary is ideal for those wonderfully easy and delicious casseroles with flageolet beans and either chicken or lamb. 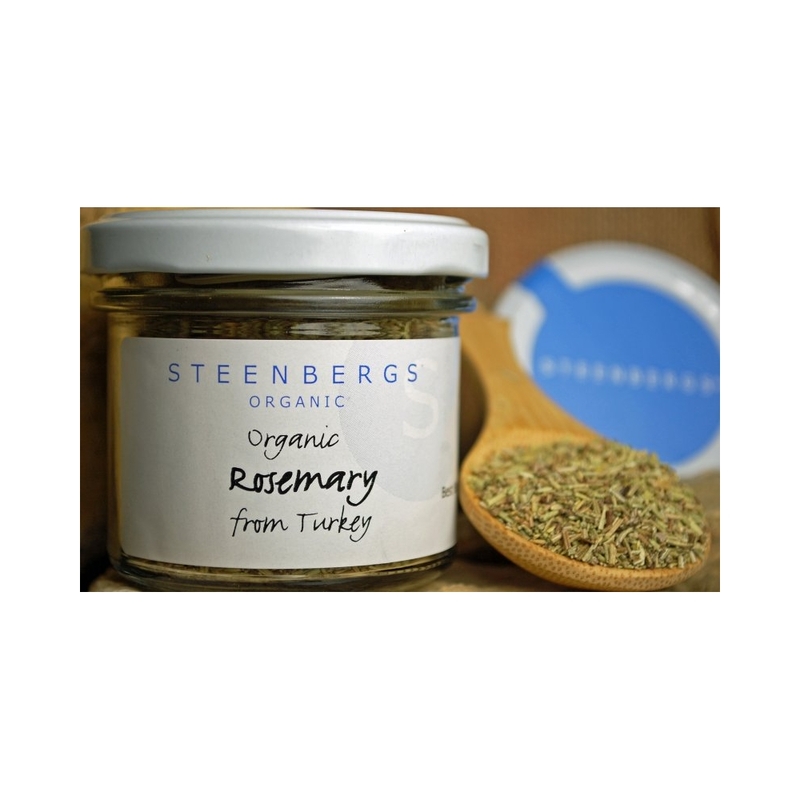 Steenbergs generally buys its organic rosemary (cut or rubbed) from Turkey. Rosemary is a hardy perennial shrub, Rosmarinus officinalis. Rosemary grows to 1.5 metres high (5ft) for the upright variety or the low-growing prostrate variety (Rosmarinus prostratus) gets no higher than about 30cm (12 inches). Rosemary has small bluey white flowers, or pink or white flowers. Rosemary is characterised by its woody stems and silvery-green, needle like leaves, which have a longitudinal crease down the middle. The leaves grow to 30mm (1 inch) and have a dark-green upper side and a gray-green underside, giving the overall silver-green appearance of its foliage.